This is a 2.5kg bag of 80% dark chocolate couverture. These deliciously dark 80% couverture pistoles are a little wild! 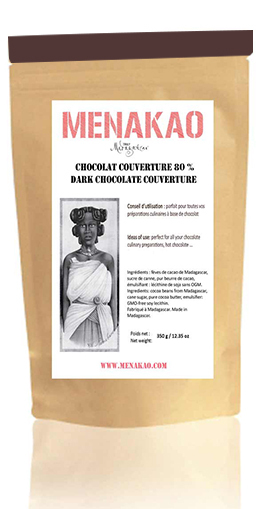 A sensationally fruity chocolate that packs a little more punch than Menakao’s 70%, for those who like their flavours just a little more intense. The high citrus notes here sharpen the natural fruitiness which makes Madagascan cocoa beans so famously adored. This is perfect for a variety of uses in the kitchen.